As you age, you may begin to notice an increase in loose, crepe-like skin, as well as wrinkles in your neck and chest areas. While this is caused to some extent by natural loss of collagen and elasticity, it is largely because of environmental factors. Between 90 and 95 percent of all wrinkles, lines and discolorations on the body are caused by sun exposure. 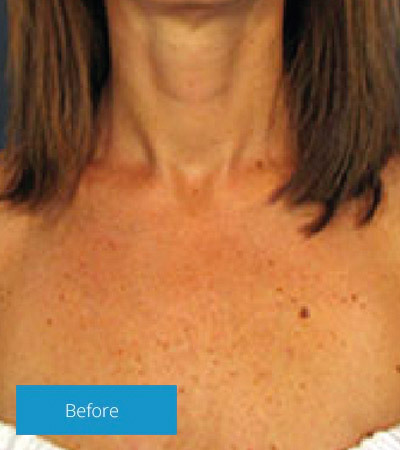 There are various approaches you can take to prevent and reverse chest and neck wrinkles.